Whilst you build Disneys magical Castle you can discover 116 of your favourite Disney characters, dancing around the castle walls, appearing on the flower-filled balcony or waving at you through the mullioned windows. Amongst the characters shown are the Princesses Cinderella, Aurora, Ariel, Belle, Jasmine, Rapunzel and Merida, plus Peter Pan, Wendy and Captain Hook, Pinocchio, Dumbo, Mickey and Minnie Mouse, Donald Duck, Goofy and Pluto! The body of the castle is built using the 216 interlocking plastic puzzle pieces, whilst the turrets, towers and crenulations are separate accessories. 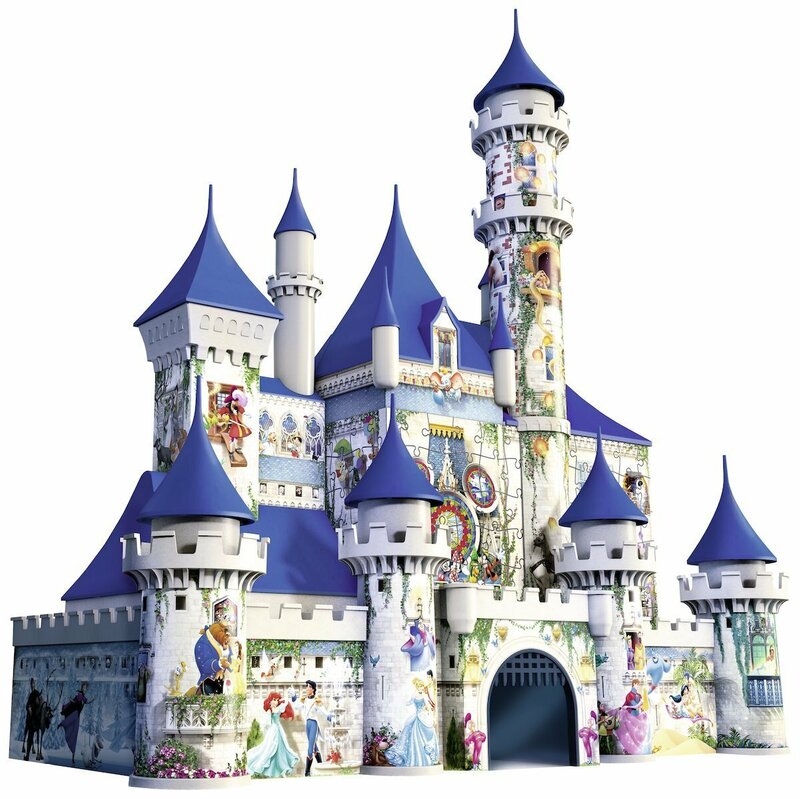 This is a great room decoration for Disney fans or an excellent playhouse for your favourite toys. It can be built solo or as a family project. 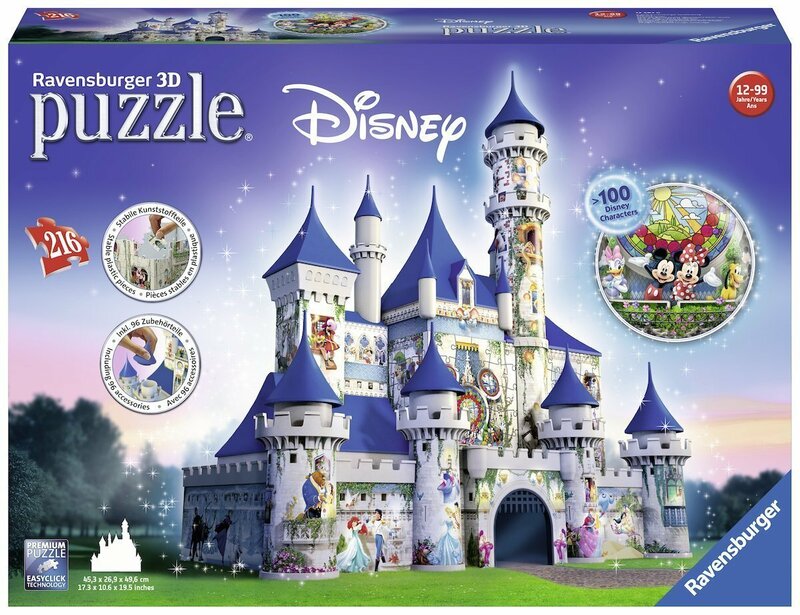 Utilising the latest 3D puzzle technology, you can create this stunning 3D model of the famous Disney Castle. 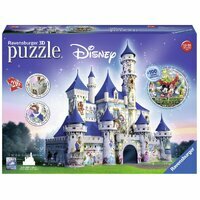 The puzzle uses unique hinged plastic pieces, which slot together to build a sturdy and strong building and best of all no glue is required! The puzzle has 216 high quality plastic pieces and 3 additional pieces to build this excellent model. Each puzzle piece is printed with a number on the reverse side, so you can either assemble the puzzle by eye, or by following the numbers on the back. The puzzle can be displayed on a shelf or table top. This model makes an ideal room decoration that you can build on your own or as a family.